Yesterday Obama admitted that the US government “tortured some folks.” Obama’s comments are sparking alarm among reactionaries and praise from liberals that he’s admitted what virtually the whole world already knows. 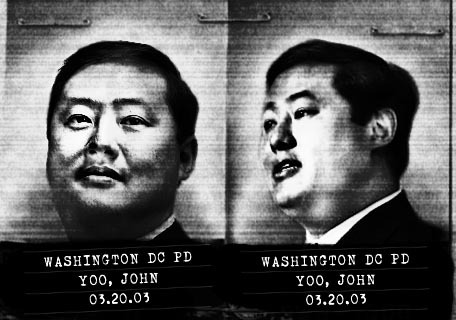 John Yoo, currently on the faculty of the Berkeley Law school at the University of California, is the primary author of the torture memos. Yoo is less well known as the sole author of legal memos authorizing the President's Surveillance Program (PSP), allegedly justifying warrantless wiretapping of US citizens. A prisoner in Guantánamo Bay has revealed to his lawyers the increasingly brutal punishment meted out to detainees peacefully protesting their indefinite detention via hunger strike. Once again the legitimacy of the judicial process at Guantanamo is called into question, this time by the interference of a US government agency. The New York Times of April 19, 2014, reported that "two weeks ago, a pair of FBI agents appeared unannounced at the door of a member of the defense team for one of the men accused of plotting the 9/11 terrorist attacks." They asked questions about the legal teams for some of the accused terrorists due to stand trial before the military commissions - courts designed to provide the appearance, but not the substance, of a fair trial. The FBI's "covert inquiry" was a serious breach of attorney-client privilege, showing that even the government disdains the process. On April 7, 2014, Shaker Aamer, the last British resident still held at Guantanamo, and his attorneys filed a habeas petition (PDF) asking for his release due to chronic health problems that can not be treated at Guantanamo. The worst of these problems apparently stems from PTSD from the torture Shaker has endured since he was captured by the Northern Alliance, then turned over to the Americans on Christmas Eve, 2001. Last Monday, lawyers for Shaker Aamer, 45, the last British resident in the US prison at Guantánamo Bay, Cuba, asked a federal judge to order his release because he is chronically ill. A detailed analysis of Mr. Aamer’s mental and physical ailments was prepared by an independent psychiatrist, Dr. Emily A. Keram, following a request in October, by Mr. Aamer’s lawyers, for him to receive an independent medical evaluation. Last week, I wrote an article, “Guantánamo Prisoner Force-Fed Since 2007 Launches Historic Legal Challenge,” about Emad Hassan, a Yemeni prisoner who is challenging the US authorities’ self-declared right to force-feed him, following a ruling in February by the appeals court in Washington D.C., allowing legal challenges to go ahead and reversingrulings made by lower court judges last summer, who believed that their hands were tied by Bush-era legislation preventing any legal challenges to the running of Guantánamo. I’m delighted to report that Ahmed Belbacha, an Algerian prisoner, has been released from Guantánamo. It’s always good news when a prisoner is released, and in Ahmed Belbacha’s case it is particularly reassuring, as I — and many other people around the world — have been following his case closely for many years. I first wrote about him in 2006, for my book The Guantánamo Files, and my first article mentioning him was back in June 2007. I have written about his case, and called for his release, on many occasions since. After seven years, the American Psychological Association recently decided to close an ethics case against a Guantanamo psychologist without taking disciplinary action. This is not merely an isolated story about a single individual's reprieve from accountability. Rather, the case of Dr. John Leso illuminates in full measure the APA's disturbing post-9/11 decision to embrace the burgeoning US "war on terror" national security agenda at the expense of our profession's do-no-harm ethical principles. On February 27, World Can’t Wait Chicago was part of a coalition effort to screen Doctors of the Dark Side and host a panel to discuss it. 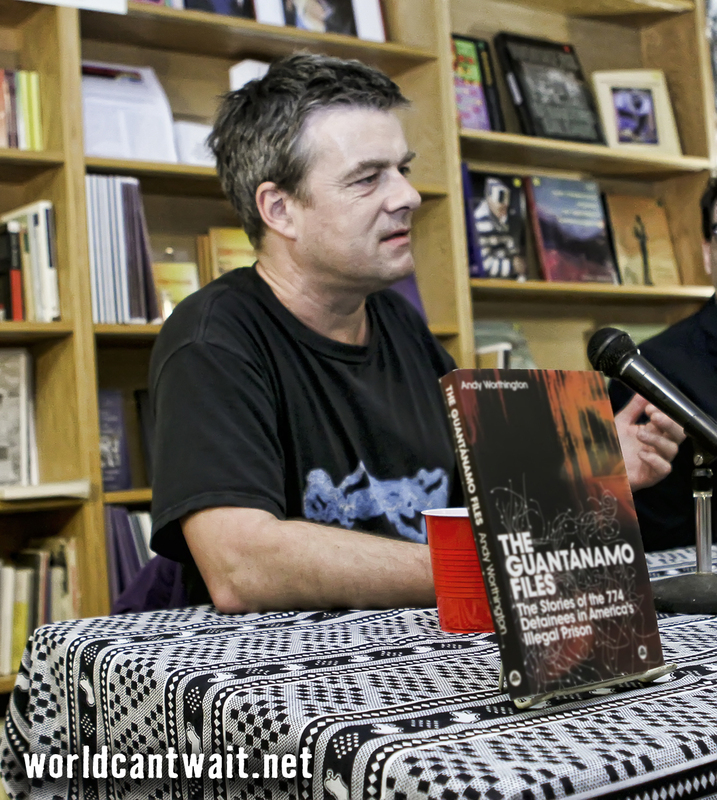 February marks the one year anniversary of the hunger strike at Guantanamo so the Chicago Coalition to Shut Down Guantanamo wanted to dig more deeply into the ethical and legal questions it poses. The event surpassed many of expectations. All three speakers added depth and specific information to what was already a powerful film. 5 years ago yesterday Obama signed an executive order to close Guantanamo. But the Obama administration is still making arguments in US federal court, and to the public that indefinite detention is necessary in Bagram, Afghanistan, as well as other places. 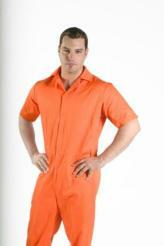 From Guantanamo and beyond: indefinite detention and other forms of torture are wrong and must be stopped!